Looking to purchase a new pair of low cut, low top, oxford (ox) chucks? 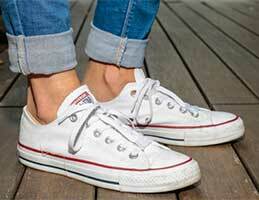 We recommend that you purchase Converse® All Star® ‘Chuck’ Taylor shoes from one of our authorized Converse dealers. Go directly to their order pages by clicking on the shoe images below. You will find out immediately what sizes are currently available and ordering online is quick and easy. Core color oxfords are always available and come in half sizes. People wearing low top chucks. 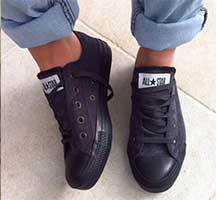 Order core low cut ox chucks. 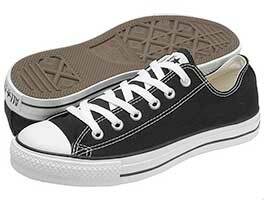 Order core low cut ox chucks from Eastbay. Shop 398 Converse Products. 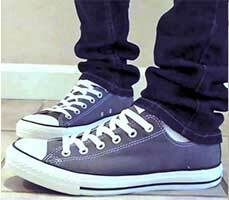 Teens wearing low top oxford chucks. Seasonal models and colors are continually changing at our affiliate stores. 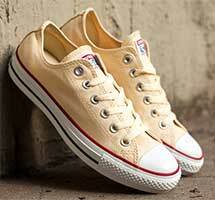 Every year Converse comes out with fresh colors which you can see on our outlook page. 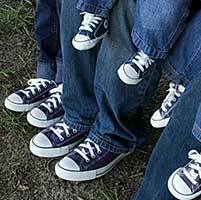 New models and collections of chucks are featured on our Chuck Talk page. 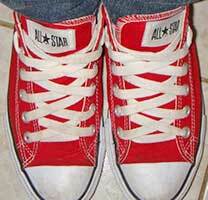 Low cut chucks also come in print pattern, leather, special feature, women's and designer models. Use the vendor links to get to our affiliate stores store and then you can search by model, color, and shoe size. Or use one of the core links above and scroll through the additional models that they currently carry. 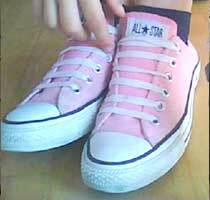 Or use their search field and type in Converse All Star low.